New Jersey is the Garden State, and while many people only think of the industrial north eastern corner by New York City, this is a beautiful state with fantastic beaches on the Jersey Shore as well as plenty of urban excitement between Atlantic City, Philadelphia, and NYC. For those looking for a weekend of gambling, partying, and fun in the sun, look no further than Atlantic City. A closer alternative to Vegas for those on the East Coast; Atlantic City provides fine dining, great nightlife, beach and boardwalk, and of course lots of casinos. While online gaming is forbidden by most US states, there are exceptions such as New Jersey. On February 26, 2013, Governor Chris Christie signed Assembly Bill 2578 and legalized online gambling in New Jersey. Here's what you need to know so you can legally enjoy games like online poker, slots, and table games including blackjack and roulette. If you are a guy and you have never been to a House of Blues you must check this place out. 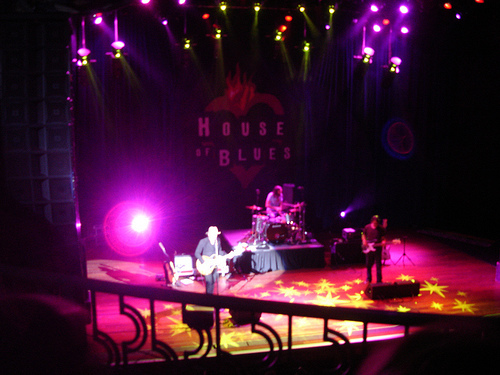 There are House of Blues locations nationwide and if you aren’t a “blues” fan, don’t worry - there is a lot more than blues bands playing at these places. In many ways, House of Blues is a perfect destination for a guys weekend because they are unbelievably cool in that sort of magical way they are decorated where everything is just perfect from the lighting to the decorations on the wall. That’s why I was excited to be invited out to Atlantic City to check out the House of Blues inside the Showboat Casino last month.